Music Teacher LA came into existence out of one incredibly skilled teacher and musician’s passion for music and teaching, her creative ability to motivate and excite students, and her desire to spread the love of music and learning to musically inclined children and adults. Music Teacher LA founder, Olesya MacNeil, graduated with Masters Degrees in Music, Psychology and Pedagogy and has been providing quality private piano lessons since 1991. She was a very sought after and popular piano teacher and taught children of Larry King, Billy Baldwin, Dan Beckerman (governor of LA Kings), and many West LA families. 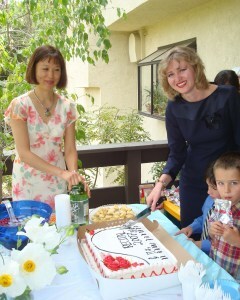 Read more about the many benefits of hiring our West LA piano teachers here. Piano is a great and easy first instrument to learn- a student just needs to press the key to produce a sound. A comprehensive knowledge acquired by students in our piano lessons in Westside Los Angeles, CA can later be applied to any other instrument. 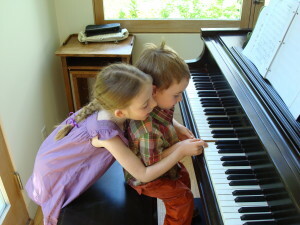 West LA piano lessons are tailored to each student’s tastes, needs and learning pace. Students study ear training, notation, rhythm, technique, memorization, sight reading, improvisation and music theory. Music Teacher LA also offers composition and music production per students’ requests. Each student has to have an access to a piano or a digital keyboard with 88 weighted keys to practice. Music Teacher LA offers assistance in purchasing a piano. 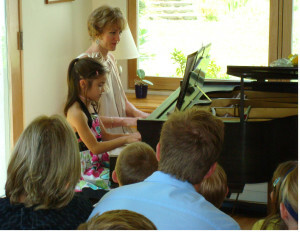 Our piano lessons are offered seven days a week in the comfort of your home in West LA or in our Santa Monica studio. Our West LA piano teachers are ready to begin your musical journey!